FEMME FATALES! Offered here is a NEW collection of vintage BAD GIRL MUG SHOTS straight from the criminal files of America. Check out the expressions on these devious dames! Printed on heavy duty paper, this print measures an easily frame-able 12″ x 16″. Makes a great gift! SKU: pop2. Categories: NEW MERCHANDISE, MISC, PAPER PRODUCTS, POSTERS & LOBBY CARDS. Tags: collectibles, bad girls, mug shot, mug shots, Pop Culture. 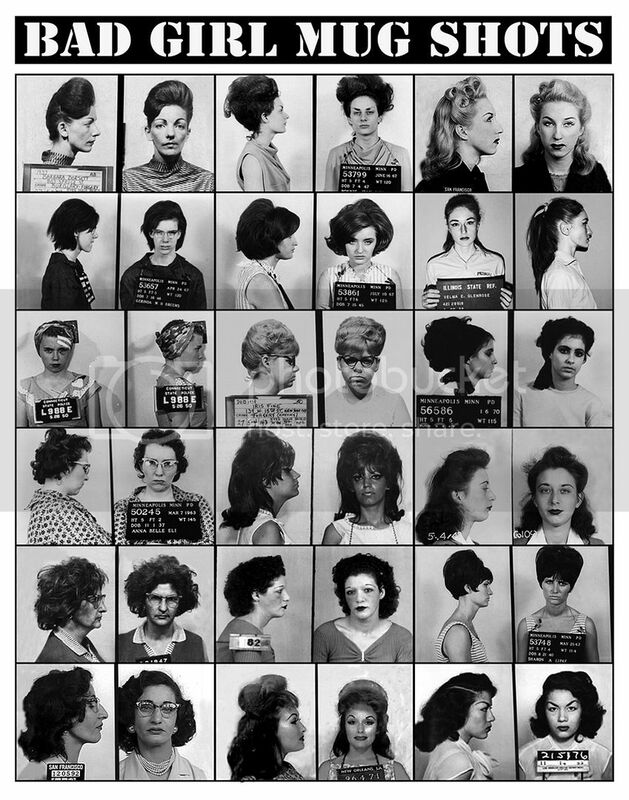 Be the first to review “Vintage BAD GIRL MUG SHOTS Poster (2015)” Click here to cancel reply.